3rd Bn, The Coldstream Guards, 1st Guards Brigade, Guards Division, B.E.F. Previous Employment: A gardener in the employ of Mr Lyonell Burton at Barnards Green House. 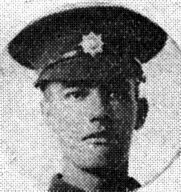 The Malvern News reported William Osborne’s death in November 1917 – he joined the Colours in May 1915.